Taking an Epsom salt bath is one of those things I know I should do after a long run, but don’t. I have had a bag or two in my bathroom cupboard for ages, and yet I just never am motivated to — I just don’t take baths, and then the times I’d like to try the Epsom salt bath, well, it usually would call for a major bathroom cleaning first, and so it just doesn’t happen then. But I may be converted after visiting Body Blitz the day after running Around the Bay. One of the pools in the circuit is an Epsom salt bath and I felt better on Tuesday (and could it have helped my iffy ankle feel better, too?). What are Epsom salts and how do they help with muscles soreness? 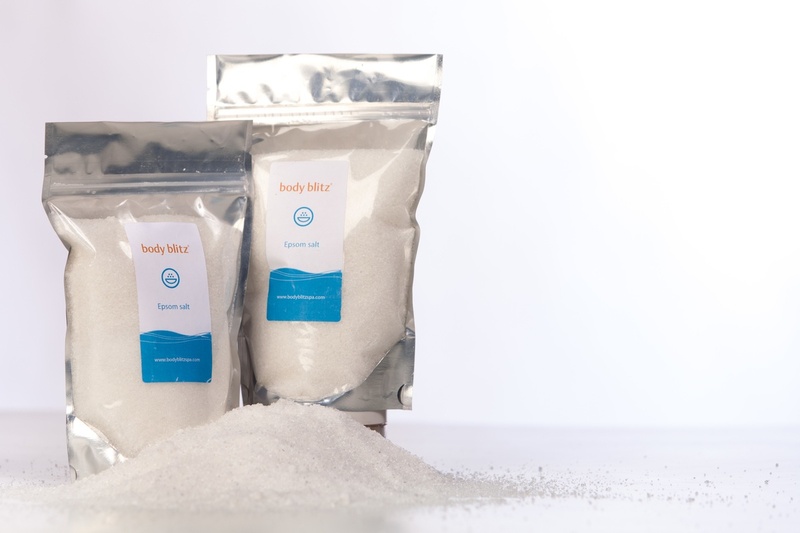 Epsom salt is magnesium sulphite and this mineral can be absorbed through the skin, and it can help relieve muscle soreness as it helps to flush lactic acid from your muscles, explains Carene Coulter, the spa director at Body Blitz. She adds that the warm water you bathe in also helps tight muscles to relax. While you can use an Epsom salt bath at any time to help relieve or prevent muscle soreness, she recommends them before going to bed the day of your workout. Other benefits of Epsom salts? You can mix a pinch of salts with your everyday cleanser to gently exfoliate your skin for glowing skin. Ache-y feet? A foot bath with Epsom salts will soothe them, and the anti-inflammatory properties will help reduce swelling. And I might need to start traveling with some Epsom salts in my carry-on: traveling can take its toll on the body (dehydration, exhaustion, and jet lag) and these salts have a sedative effect, so you can relax your body and get the restful sleep you need when away from home. I wonder how I’ve never heard of this brand. Most bath salts I know about are all pink and girly and smell too strong. I love long baths, so I’ll definitely give this a try.